Through specialized, easy-to-use applications and data analytics that work together, customers of all types and sizes across the continuum of care – rely on ABILITY to help optimize reimbursement, care quality and staffing. We are trusted by providers of all sizes across the care continuum in acute, skilled nursing, home health, hospice and ambulatory settings. We also help payers, including Medicare, Medicaid, Blues plans, and virtually all commercial insurers. We serve our customers both directly and through a broad network of strategic partners which include revenue cycle, Electronic Health Record (EHR) and practice management vendors and other software and service companies. We provide specialized applications and analytics that work together to help with revenue cycle management, care quality management and workforce management via a powerful, integrated platform connecting payers and providers. Underpinning it all is a strong foundation. ABILITY is trusted by providers of all sizes. Our deep healthcare and technology expertise means ABILITY can simplify complexity, and that mission fuels every product we deliver. Our unique platform enables customers to solve multiple challenges in a coordinated way, and our applications and analytics are complemented by strength and support we offer our customers to help them respond quickly in a dynamic environment. Bringing it all together is a strong and growing team of people committed to our customers and each other, all guided by a singular mission: To help. 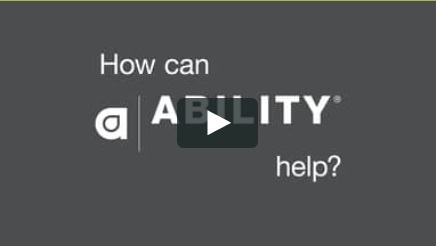 ABILITY is a technology leader and has been recognized for the strength and security it delivers to customers. ABILITY named a winner at the 2017 Minnesota Tekne Awards in the Software (established company) category for ABILITY | EASE All-Payer. ABILITY Network was named to The 2017 Healthcare Informatics 100, a comprehensive list of the top healthcare information technology companies. ABILITY Network has been recognized by the Minneapolis-St. Paul Business Journal in its “Fast 50” list, which is a ranking of the fastest growing privately-held companies in the Twin Cities. ABILITY was named to the first-ever Forbes 2016 Cloud 100, the definitive list of the top 100 private cloud companies in the world. ABILITY was one of only five healthcare technology companies named to the list. ABILITY Network has been recognized by Inc. Magazine in its “Inc. 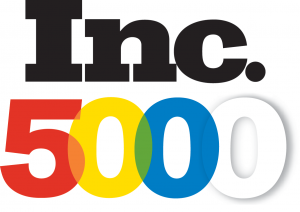 5000” list, which is a ranking of the fastest growing privately-held companies in the world. ABILITY has consistently met the highest standards of support and security for protected healthcare information. Fully accredited by the Electronic Healthcare Network Accreditation Commission (EHNAC) under Healthcare Network Accreditation Program- Electronic Health Network (HNAP EHN) and the Cloud-Enabled Accreditation Program (CEAP). Certified by the Council for Affordable Quality Healthcare (CAQH) via their CORE program. Approved by CMS as a Network Service Vendor and a Health Information Handler (HIH). Validated by a Qualified Security Assessor (QSA) as a Level 1 Service Provider, in accordance with the Payment Card Industry Data Security Standard (PCI-DSS). General Member of CommonWell Health Alliance. CommonWell is a non-profit trade association dedicated to the vision that health data should be available regardless of where care occurs.